Hey all! Hope you guys had a great weekend! As you may know, I’ve been so busy moving into our new home but I have to say it is looking amazing! Today I’m sharing with you the very first dish I cooked in my new kitchen and boy is it delicious! As a thank you to our family that helped up lift endless boxes and furniture we had everyone over for dinner. I made a super simple but hugely delicious appetizer, Meatball Parm Skewers! 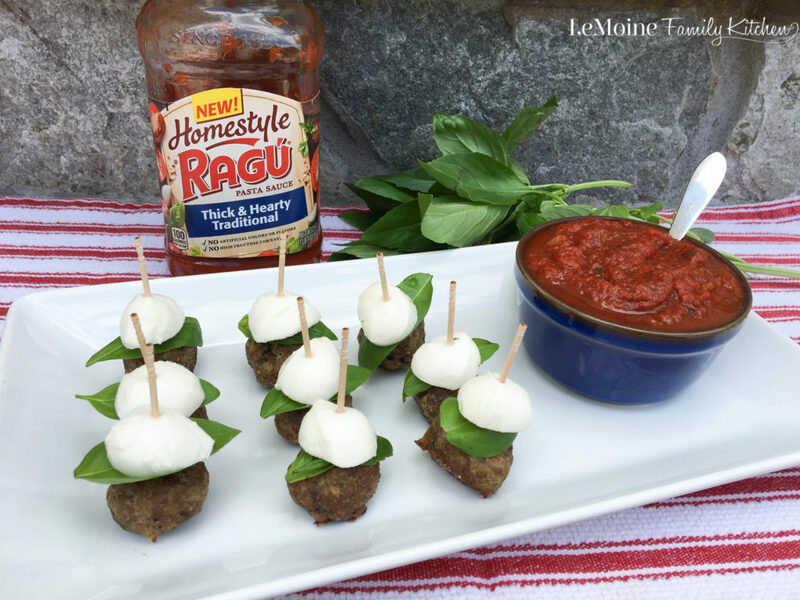 These bite sized meatball part skewers are such a simple twist on a classic Italian dish and with the help of RAGÚ® Homestyle sauces, this recipe is really easy to throw together. Plus I’ve got a great giveaway going on so be sure to scroll on down to it! As you can imagine I didn’t yet have my entire kitchen set up so I needed to keep my dinner menu simple but also keep that homestyle tradition my family loves. 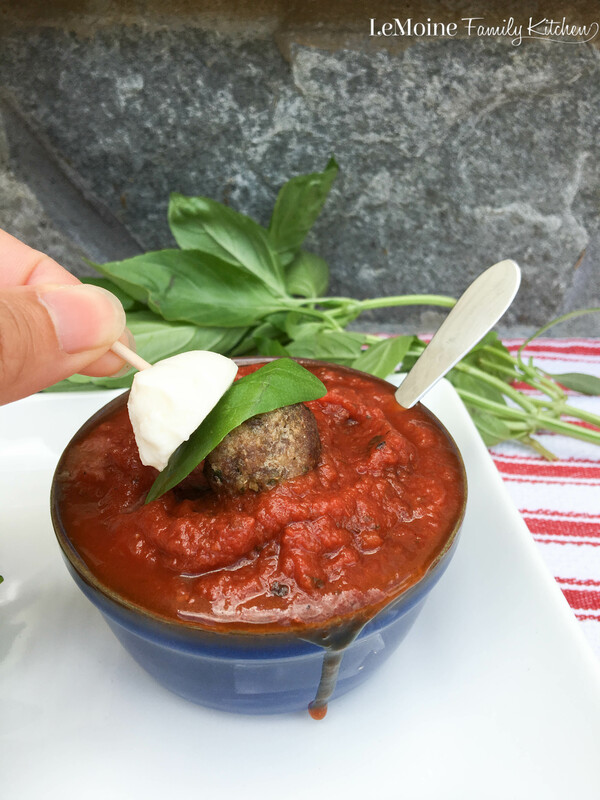 Thanks to some help with RAGÚ® Homestyle Thick & Hearty Traditional Sauce I certainly delivered a meal that everyone enjoyed… especially these fun Meatball Parm Skewers! These skewers followed by a big bowl of spaghetti and toasty garlic bread and I’d say we had some happy tummies in the house! It was a great way to celebrate our new home with our family. I made my meatballs just as I would for cooking in my Sunday sauce but just mini versions of them. Ground beef, Italian seasoned bread crumbs, garlic powder, grated pecorino, eggs, fresh parsley, salt and pepper. 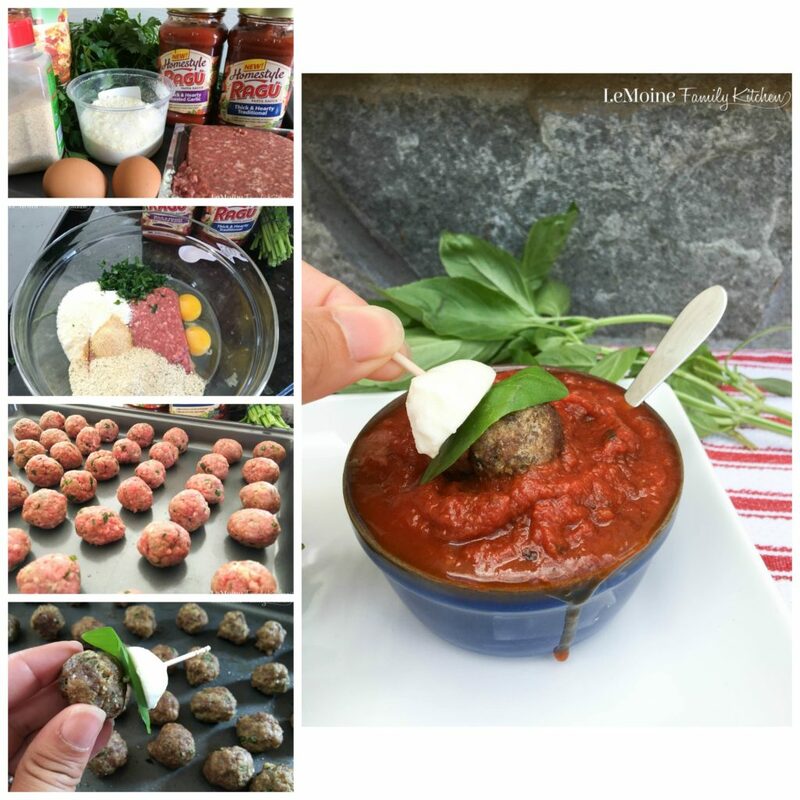 Mixed up by the best tools in the kitchen – your hands- these bite sized meatballs are absolutely addicting! I bake them in the oven until golden and then you are all ready to assemble! How easy is that?!?! 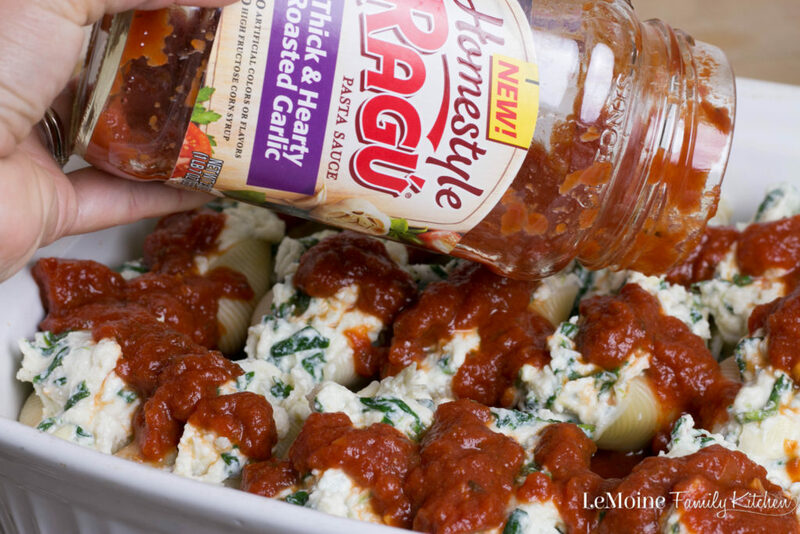 Not too long ago I used RAGÚ® Homestyle Thick & Hearty Roasted Garlic Sauce in my Spinach Artichoke Stuffed Shells and since then I always make sure to have a few jars of RAGÚ® Homestyle sauces on hand. These Homestyle sauces don’t use any artificial flavors, colors or high fructose corn syrup. Its perfectly thick and really sticks to the meatballs. 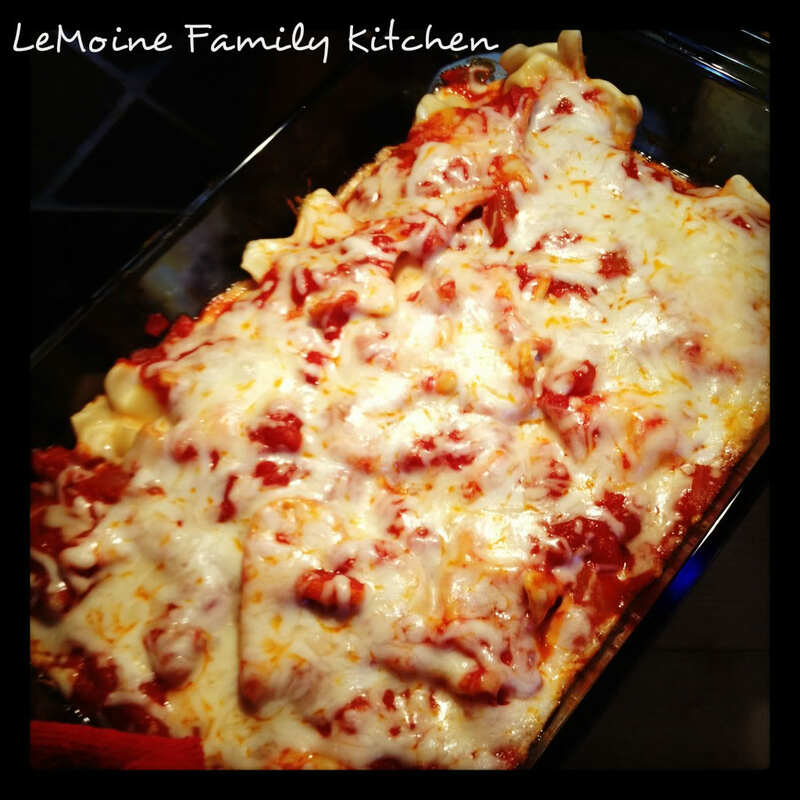 When I need a homestyle meal made easy this is my go to! The Thick & Hearty Traditional really made for the PERFECT dipping sauce for the Meatball Parm Skewers! Mini Italian meatballs, a fresh basil leaf and half a fresh mozzarella balls make for one amazing appetizer! Dipped in the RAGÚ® Homestyle Thick & Hearty Traditional Sauce and I’m telling you, you can’t stop after just a couple! Go ahead, grab all the ingredients because you all really need to try this recipe out. Oh and while you’re a it, be sure to check out my recipe for Spinach & Artichoke Stuffed Shells with RAGÚ® Homestyle Thick & Hearty Roasted Garlic… Grab the recipe HERE! In a large bowl mix together the ground beef, eggs, cheese, bread crumb, garlic powder, parsley, salt and pepper. Form into bite sized balls and place onto a non stick or lined baking sheet. 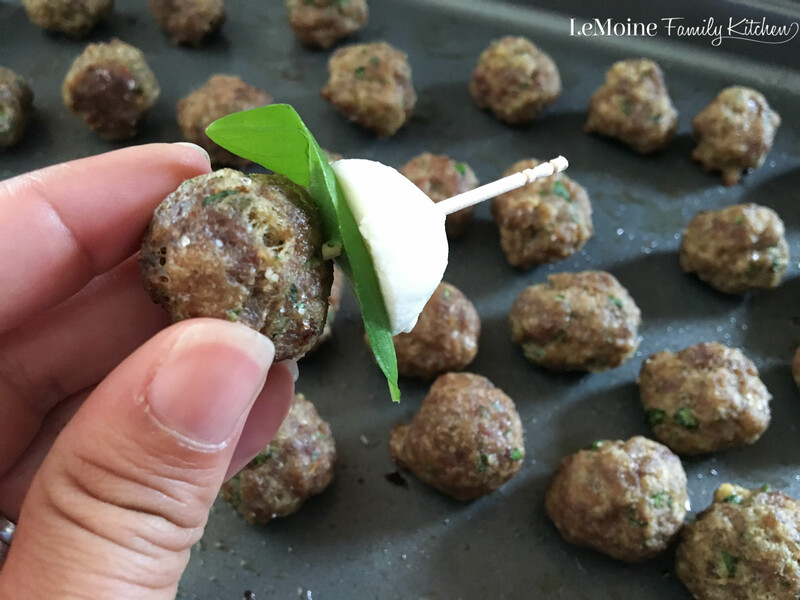 Skewer the mozzarella, a basil leaf and a meatball on party toothpicks. Warm the RAGÚ® Homestyle Thick & Hearty Traditional Sauce and serve along side the skewers. 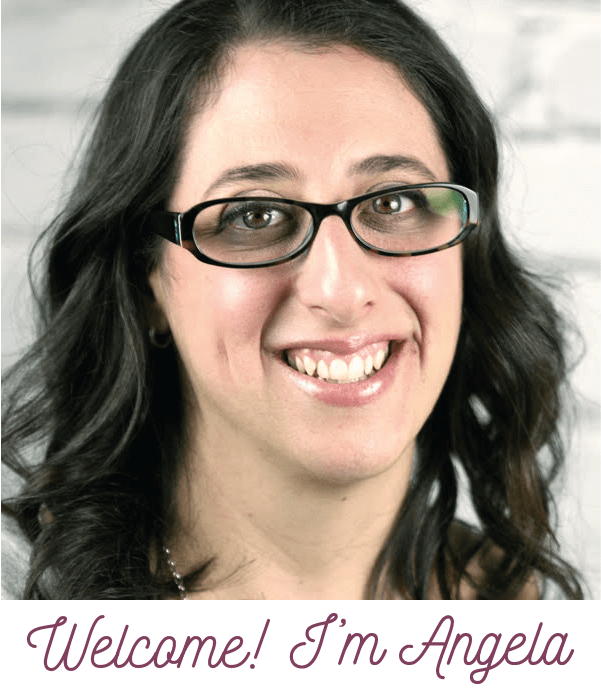 I’d love to hear from you!!! 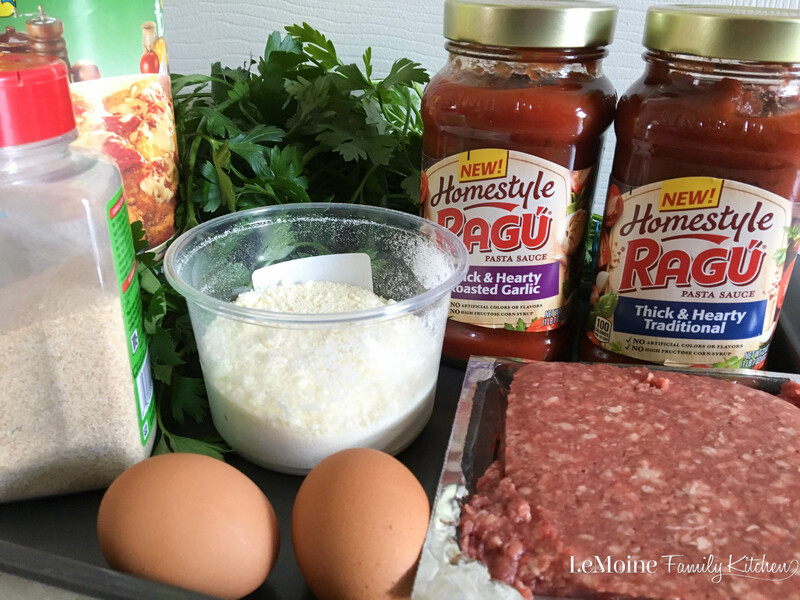 Check out the RAGÚ® Homestyle Sauce homepage and tell me what sauce you’d like to try! 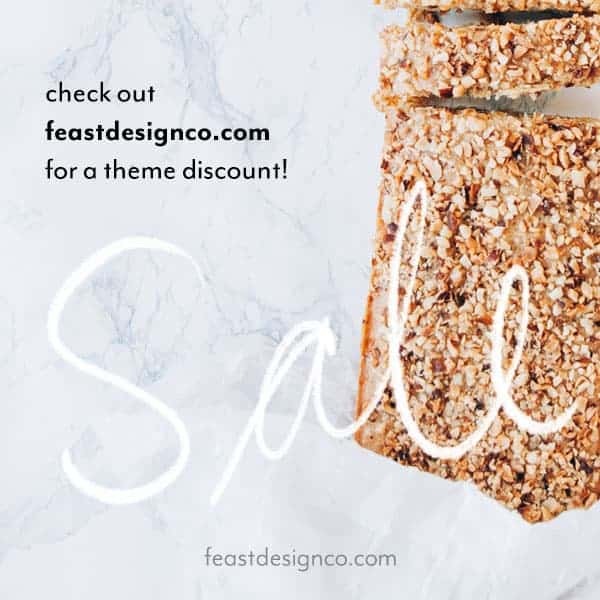 Also there are some INCREDIBLE recipes too so definitely check them out for plenty of homestyle recipes the family will love!! 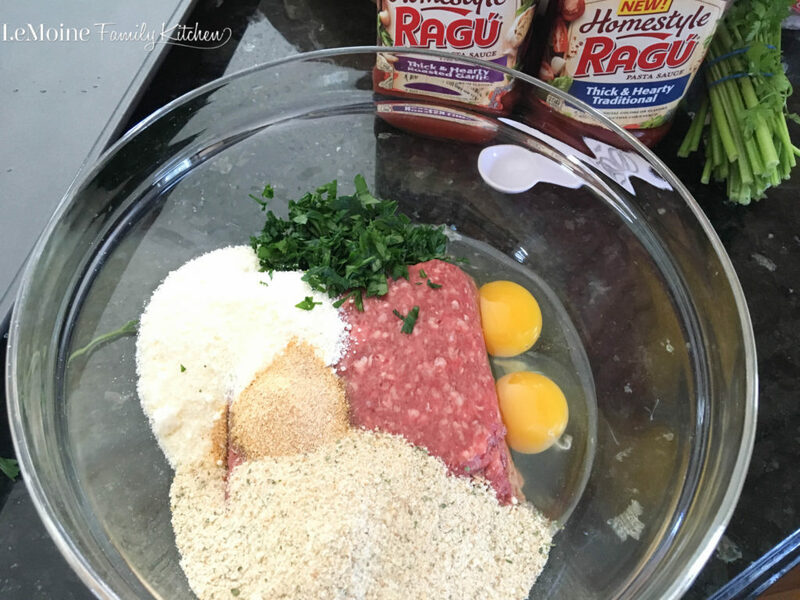 A big thank you to RAGÚ® for inspiring this easy recipe that my kids and I can make together in the kitchen and keep the tradition of cooking going. 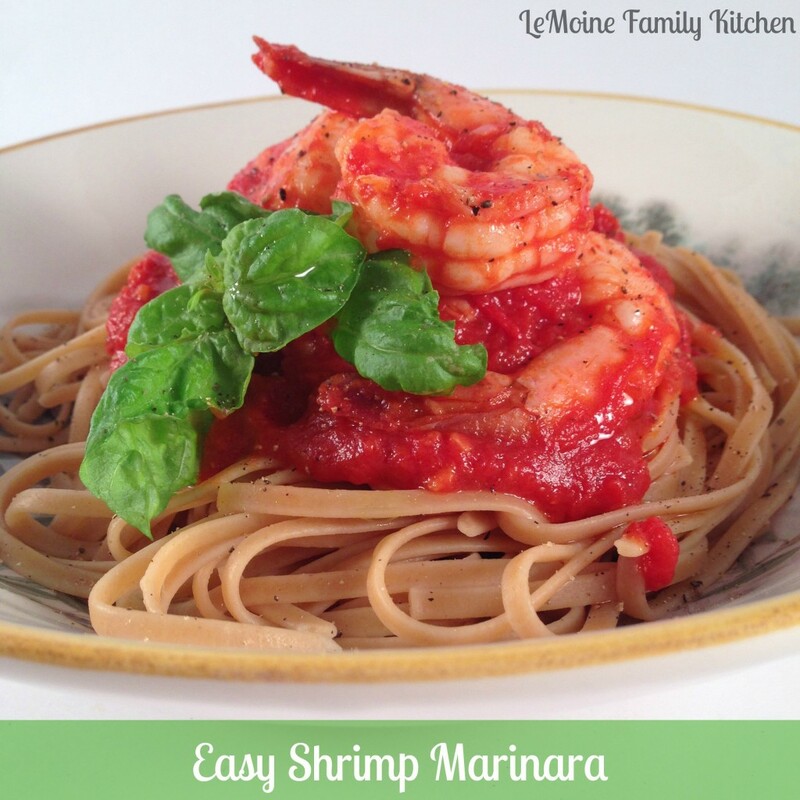 Here are some other recipes that would be AMAZING with RAGÚ® Homestyle Sauces! !